We are excited to share the news that the Free Library will be at the African American Children's Book Fair again this year! Founded and organized by Vanesse Lloyd-Sgambati, the African American Children’s Book Fair is celebrating its 27th year. It will take place Saturday, February 2, at the Community College of Philadelphia and run from 1:00 p.m. - 4:00 p.m. Stop by to chat with our staff about Free Library programs and resources for your whole family, from infants through adults! 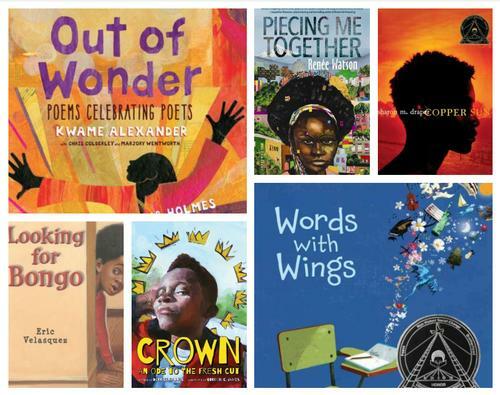 The African American Children’s Book Fair features award-winning authors and illustrators whose work focuses on the lived experiences of children and teens of color. 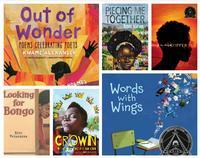 These beautiful and thoughtful works can enrich the lives of all young readers. Bring your family to hear the authors read selections from their work and meet them in person! 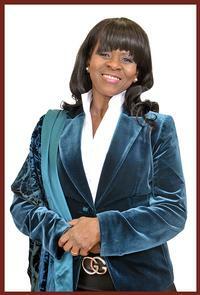 You can also purchase books and get your new copies signed. Educators can also receive new books for classrooms and school libraries! This year’s Book Fair will feature Kwame Alexander, Renee Watson, Eric Velasquez, Nikki Grimes, Derrick Barnes, and many others. You can view the full list of attending authors and illustrators on the Book Fair's website. Founder Vanesse Lloyd-Sgambati was the 2018 award winner of the Free Library of Philadelphia and Drexel University Children’s Literature Citation. The award is given to an individual who has made an outstanding contribution to literature for children and who is from Philadelphia, or has contributed significantly to the advancement of literacy in the Philadelphia area. We were proud to award Vanesse Lloyd-Sgambati the Children’s Literature Citation for all of her work in building meaningful connections between authors and readers, as well as inspiring a lifelong love of reading through the African American Children’s Book Fair. Listen below to a recent podcast where Vanesse Lloyd-Sgambati interviews children’s book author Sharon Draper about her wide appeal to a diverse young adult audience and Marietta Collins from the Blockson Collection, both appearing at the Book Fair on February 2. The 27th Annual African American Children's Book Fair will take place at Community College of Philadelphia on Saturday, February 2 from 1:00 p.m. - 4:00 p.m.
Just some of the authors and their books that will be featured at this year's Book Fair.